To say that I call myself a blogger, I'm a complete amateur when it comes to face bases and all things foundation; BUT, and that's a big but, I'm making a conscious effort to get into it and I've actually really enjoyed experimenting with them. 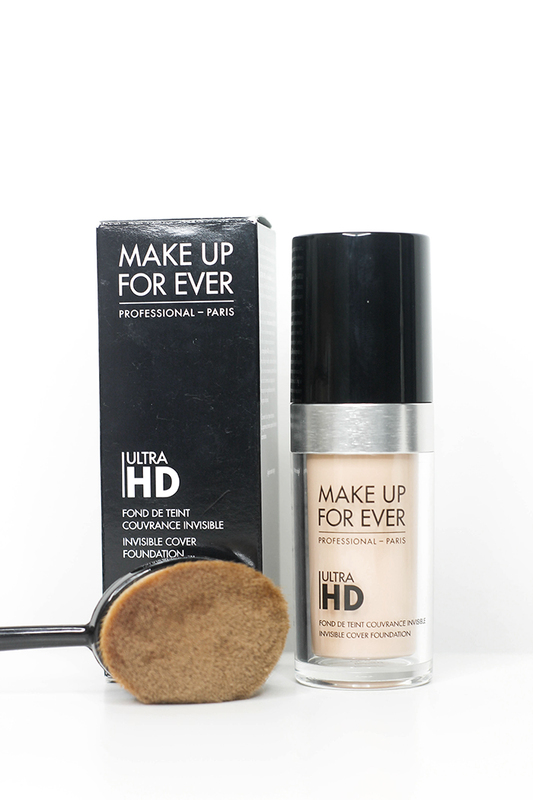 A fairly new favourite that I've been fortunate enough to get my hands on is the Make Up Forever Ultra HD Foundation* (you can check it out here!). 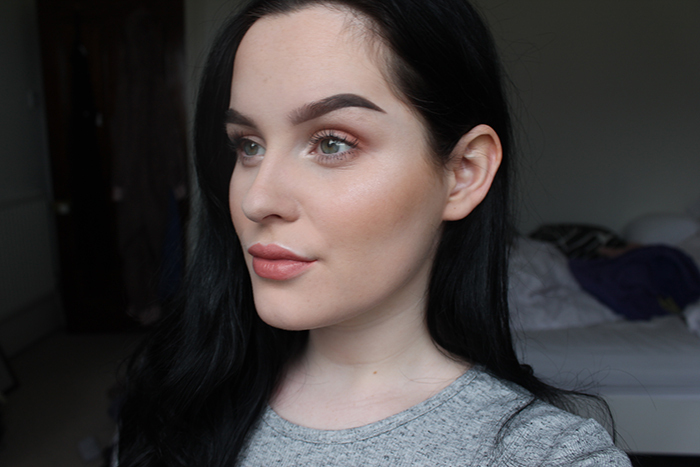 I've been trialling the HD foundation for the past month and a half and I've fallen head over heels in love, so let's take a closer look, shall we? The packaging itself really isn't anything fancy, but I'm one of those that appreciates simplicity - less is more right? The glass bottle feels heavy and luxe, and the MUFE logo is engraved onto the top of the plastic cap which adds a unique touch. As an aspiring makeup artist and someone who pretty much depends on harsh lighting to take my photos, seeing that this supposedly withstands bright or harsh lighting was definitely a plus point to me and made me want to go out and try it. I can confirm that this does in fact withstand the likes of my soft boxes and ring light, and it's great for photography. The foundation itself is a watery consistency which I like, as it makes it super easy to blend and you really don't need much more than a pump to cover your whole face, so this baby will last you forever! The coverage is medium to high but it's really easy to build without making your skin look thick or caky; I'm not a foundation wearer so this is a must for me. I personally have dry skin and this didn't stick to any dry patches, it didn't crease up on my under eyes or in my smile lines which are things I've really struggled with in the past - so yay! I must say that if you have oily skin and want to get a hold of this, I'd recommend you powder/set the skin after application, especially in the T-zone. The best thing about this foundation, and something I really just wish I could thank MUFE for, is the incredible shade range. They offer a huge variety of shades which have multiple undertones which makes finding your shade an absolute doddle! I definitely want to pick up some more of these for my kit. Overall I'm super impressed with this foundation, the formula is great and I imagine it would fit a whole range of skin types. I wore this from about 10:30am to about 12-midnight, I'm so sorry I didn't get an end of day picture but I was so tired after work it wouldn't have been a pretty sight..BUT the foundation didn't fade or rub off anywhere and practically looked identical to when I put it on earlier that morning. I have to say I've fallen for this one, it makes my skin look flawless both in real life and in photography, it really is the best of both worlds. For £29, this really is worth the cash and I'd love to hear your opinions if you've tried this foundation. What are your favourite foundations/base products? Comment below!